Suggested listening for this post. We love baskets. Picnic. Market. Easter. Foraging. Bicycle. Moses. Hearth. Herb. Onion. Mushroom. Egg. Bread... (ok fine)... Laundry. Their multitude of uses is written right into their very names! 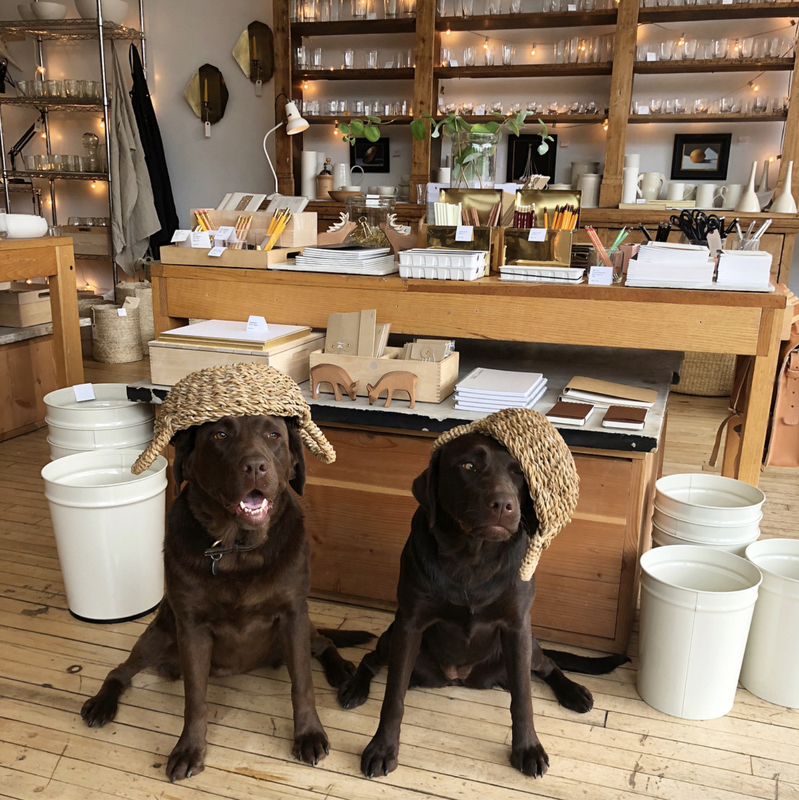 Infinitely utilitarian and completely beautiful in their variations, baskets definitely prove that humans have been saying "oh gosh, we REALLY need somewhere to put this STUFF!" for literally tens of thousands of years. 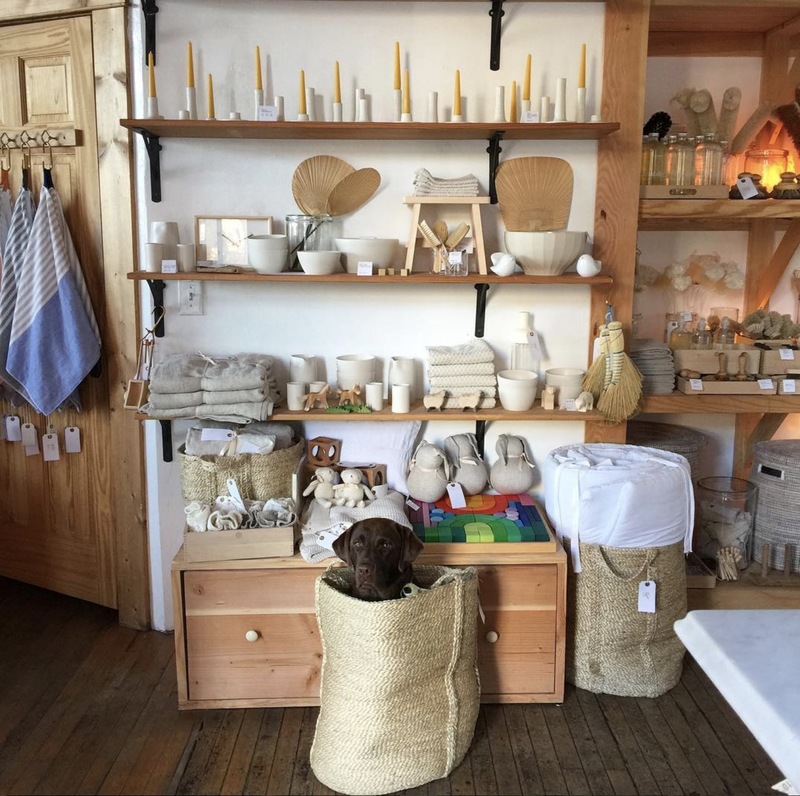 Baskets are perhaps the very first objects of both use and beauty, the original home good. From de-cluttering the first cave to wrangling whatever tiskets currently need wrangling in your home this very afternoon, a good basket gets the job done. Before farms and tables even existed, the humble basket was the original locavore sensation. Hunting, gathering, trading, nomad-ing... weaving a basket tailored to its very own purpose was the logical solution for the earliest humans. 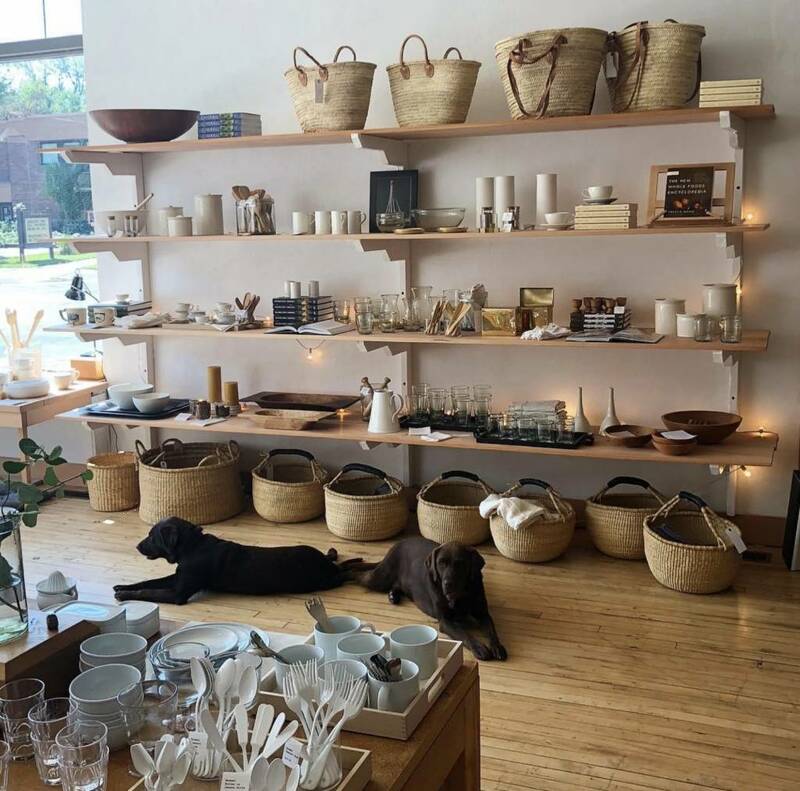 Like so many beautiful artisan traditions, the shapes of most baskets are directly tied to their uses and the style of their construction is dictated by what materials grow naturally in the environs of their creation. Our Grass Bolga + Floor baskets are hand-woven in Africa from the sweet-smelling elephant grasses that grow wild on the savannas there. 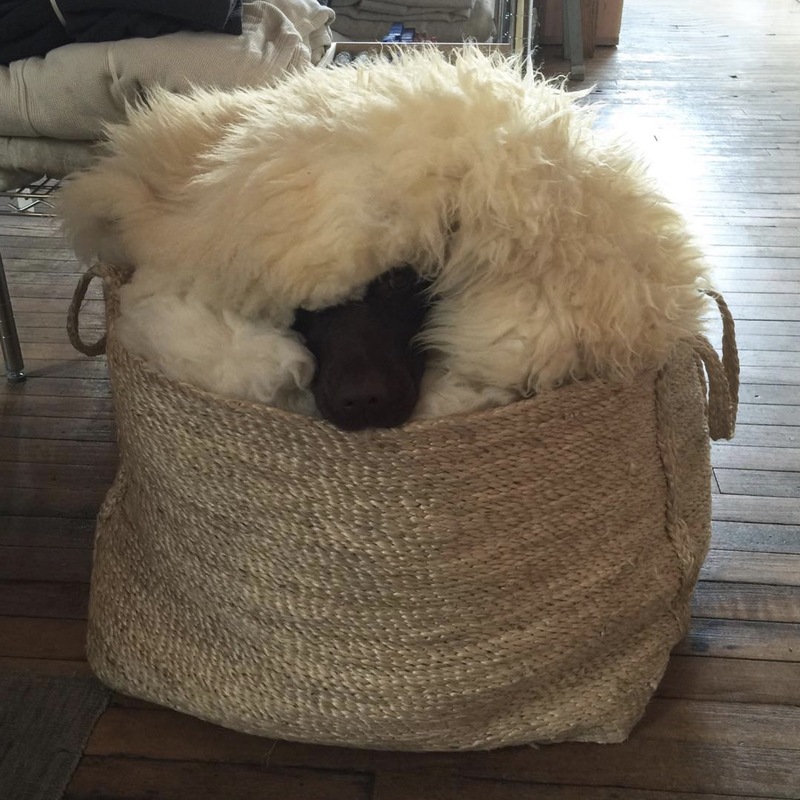 These sustainably harvested grass fibers are super hardy and the traditional shapes of the baskets (the easily schleppable "shopper" and flat-bottomed floor basket) are just as useful as a home for your pile of fluffy blankets they are for carrying your shopdog, er, farmer's market bounty around. These classic grass baskets are also reshapeable (!). If an errant labrador whaps yours out of shape or it gets crushed in a closet, it's easy to reform it. Simply submerge the basket in water (keeping the leather handle above the water line) for 5-10 minutes—at which point the sweet scent of the grass will waft around you BONUS. Remove, reshape, and let dry completely on a towel. Want to know more? We've got some hands-on video instruction right this way (we're still working on activating smell-o-vision). Our fair wage Jute baskets are hand-woven, in the traditional Bengal style, usually from single lengths of jute plait. The simple construction gives these larger baskets some serious chutzpah. 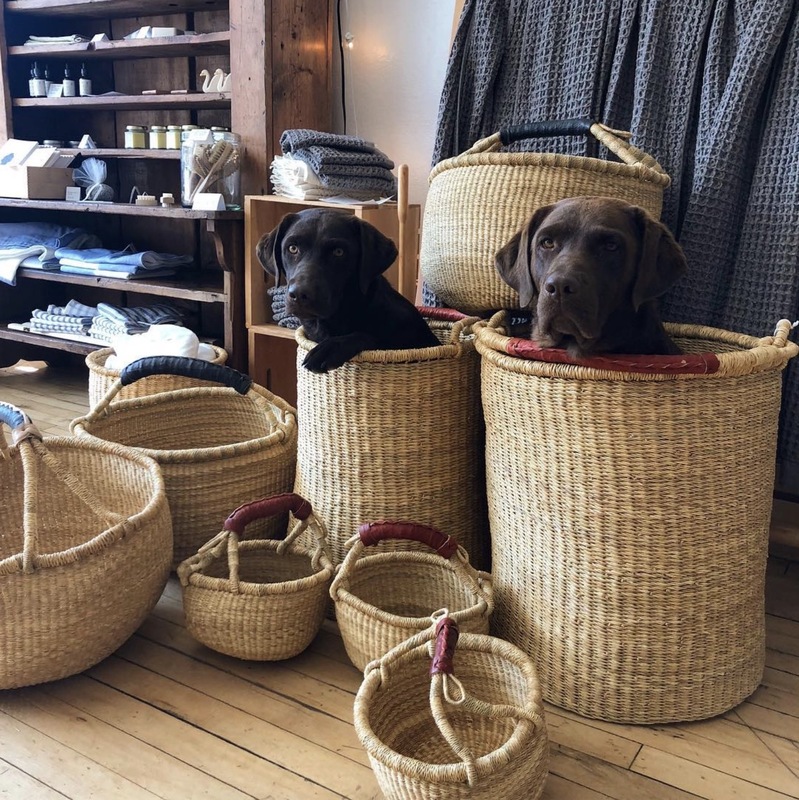 They are the largest, strongest baskets we've ever come across (and they need to be as we—obviously—use them for toting around 80+ lbs of rock-solid chocolate lab). There's a reason they call jute the "the golden fiber"... it's both a lovely workhorse and, in contrast to cotton and synthetics, it is as au naturale and sustainable as they come. Like grass baskets, these jute baskets can also be reshaped using the same methods. Ideal for larger baskets that occasionally deal with wet applications (looking at you towel hamper or taking-laundry-out-to-hang-on-the-line situation). Our Palm Market Baskets are, as their name suggests, hand woven from date palm leaves and are as effortlessly lovely as a cruise around an open air market in Provence. The palm fronds are airy-light and their braided weave gives this basket some give and stretch. This elastic strength combined with the generous flat bottom, tapered sides, and single (or double!) leather handles makes these ideal for seaside picnics or Saturday morning errands alike. We always keep one on hand for whatever adventure—miraculous or mundane—might pop up. We might even go so far as to say they're better than a Birkin basket (one of these would definitely hold all of those pastries and then some!). Our Hogla Leaf baskets are the most laid back of all of our baskets. 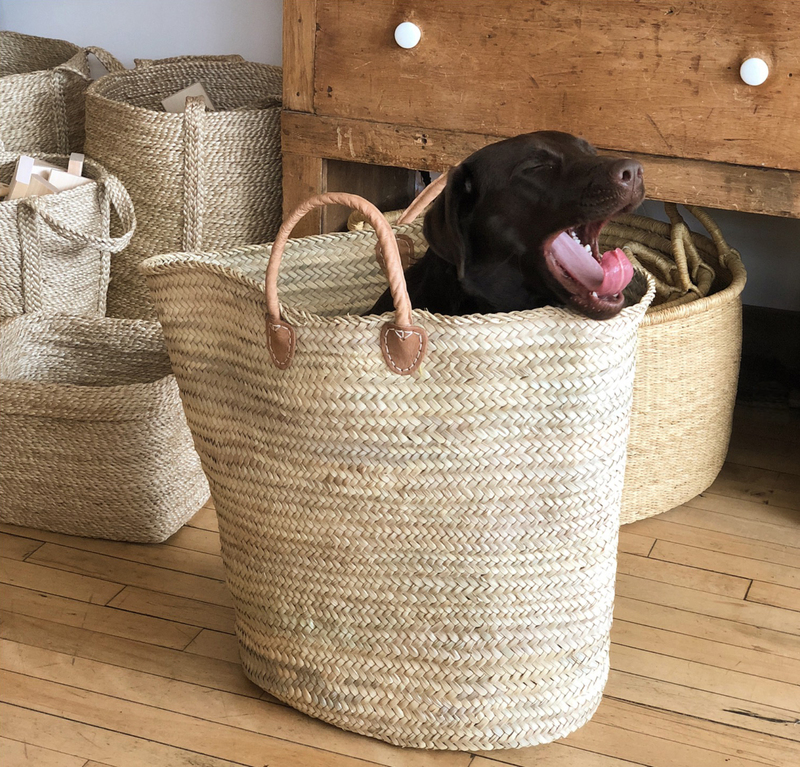 Looser, softer, and slouchier than their grass, jute, and palm counterparts, these smaller baskets are hand-woven from the twisted leaves of the Typha cattail. We love the darker palette and nubby, organic form that this ethically grown, hand-retted fiber gives. Go ahead and fill 'em with ripe figs or pomegranates (or mail or dog treats or or or whatever your heart desires!) they look fabulous when full of goodies—and when worn as a hat. Whatever you need to tote, store, organize, or corral, we promise there's a basket for the task(et). Your products have always been great. Your dogs have just risen to a new level of fabulous. What a treat to see such patience and confusion at the same time. What they must think of us! More! More!